After a break for the holidays the Secret Recipe Club is back in action for January! 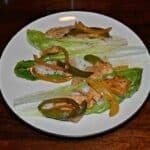 I was anxious to get back to cooking and was excited to get my blog for the month. The blog I received for this month was Wholesome RD. I love that she has nutrition information for all of the recipes on her blog. Choosing a recipe proved to be hard as usual. I wanted to make the Strawberry Fruit Leather Roll-Ups, Spinach Feta Turkey Burgers, and Kale Meatballs but in the end I was craving lettuce wraps and I loved the look of these Chicken Stir-Fry Lettuce Wraps. Most lettuce wraps I’ve seen or have made myself have been made with ground beef or ground chicken. The thing I liked best about these wraps are that they use chicken breasts thinly sliced and sauteed. Then vegetables are thinly sliced and sauteed as well. 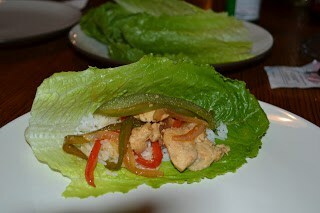 These lettuce wraps were awesome! I loved the flavor of the soy and rice vinegar. It was so simple but mixed with chicken, peppers, and onions it was full of flavor. My husband liked them so much that he asked if we could keep them on the bi-weekly menu plan! 1. Sprinkle the thinly sliced chicken with salt and pepper. 2. Heat 1 tablespoon of olive oil in a large skillet over medium high heat. Add the chicken and saute for 4-5 minutes, stirring constantly to cook the chicken through. Transfer chicken to a plate. 3. Wipe out the skillet and add the remaining olive oil. Add the bell peppers and onion to the skillet. Cook for 5 minutes. 4. 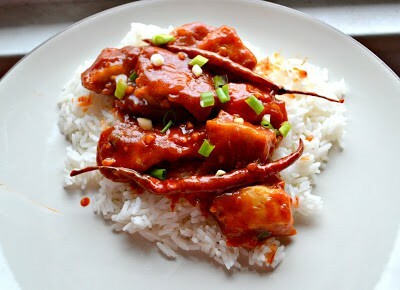 Reduce heat to medium and add garlic, ginger, red pepper flakes, soy sauce, vinegar, and Sriracha. Cook for 2-3 minutes stirring occasionally. 5. Add the chicken and accumulated juices to the skillet and toss to coat. Heat for an additional 2 minutes to warm up the chicken. 6. 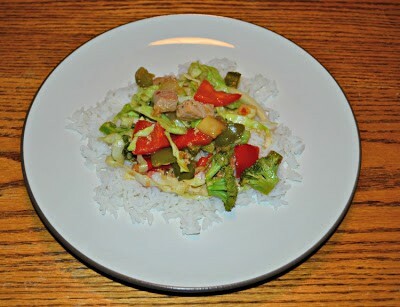 Spoon 2 tablespoons of rice and 3 tablespoons of the chicken and vegetable mixture in each lettuce cup and enjoy. 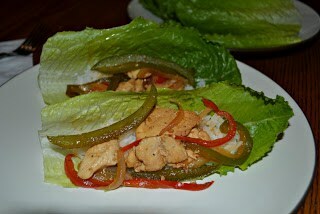 I just love Lettuce Wraps and these look delicious. This is a great recipe for the SRC, and thanks for sharing. Those look fresh and fantastic – so flavorful and delicious. What a great SRC choice! So glad you and your husband liked them! 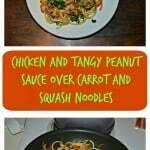 They are so easy and delicious – and super healthy! 🙂 Thank you! These fit in perfectly with the diet plan I’m on right now, thank you for another recipe I can add to my repertoire! Sometimes it can get boring-lol.